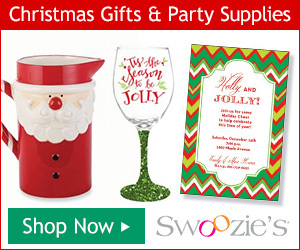 Hosting a Christmas Party and in charge of the Gift Exchange? Well Party Game Ideas is here to help with Gift Exchange games, rules, tips, and ways to put a new spin on your gift exchange event. Check out Gift Exchange - Dirty Santa, White Elephant, Worst Gift, Regifter, Gift Passing and other types of Christmas Gift Exchanges. 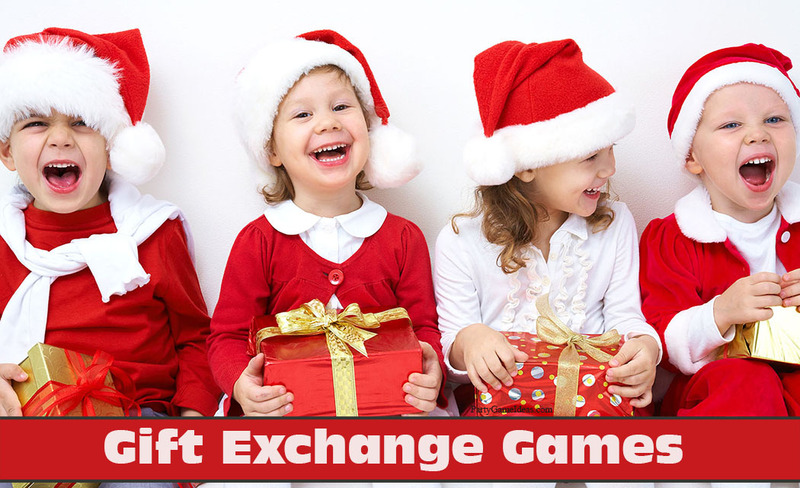 These Gift Exchange and passing games will add fun to your event. 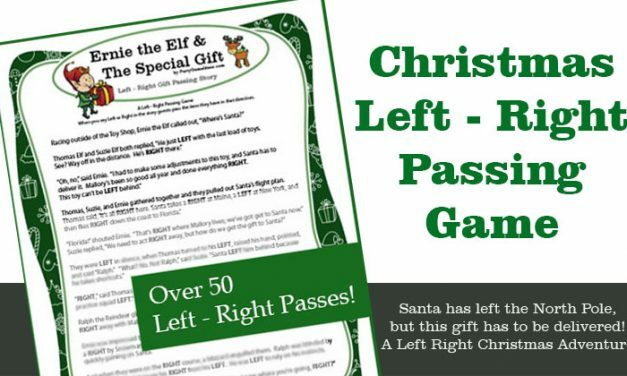 Ernie the Elf & The Special Gift is a heartfelt Christmas Left Right Game story with over 50 gift passes and lots of twists and turns as Ernie the Elf as he tries to find Santa. 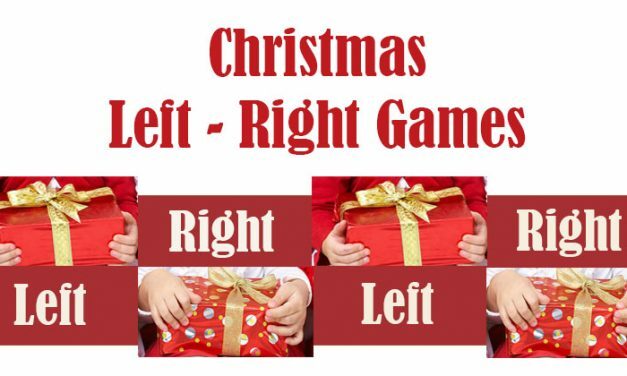 Christmas Left Right games add fun to your gift exchange without gift stealing. 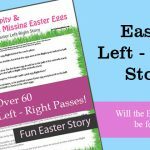 We offer 3 original Holiday Left Right stories; Heartwarming, Funny and Bible. 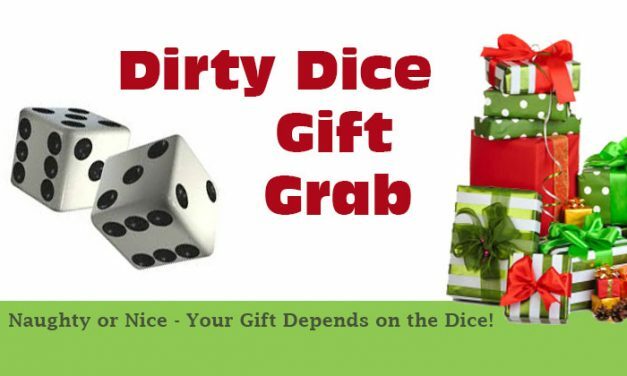 3 Dirty Dice Christmas Gift Grab Games that involve rolling dice, stealing gifts and hoping for doubles. 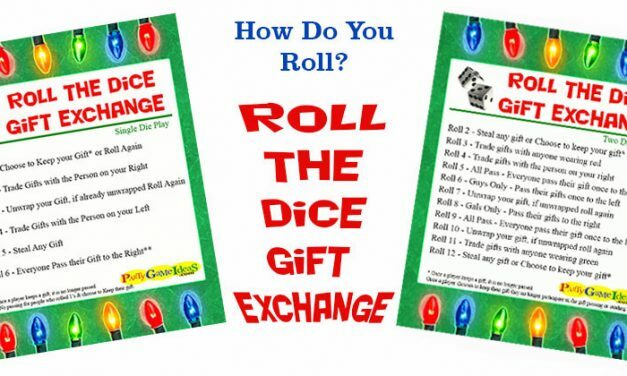 Dirty Dice game versions for kids and adult gift exchanges. 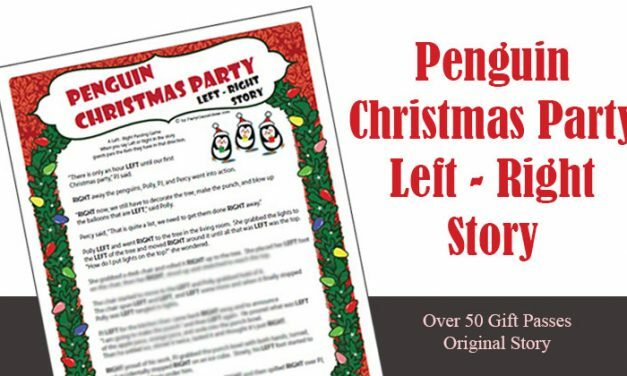 Want a funny Christmas Left Right Story? Penguin Christmas Party follows 3 penguins preparing for their 1st Holiday party. It’s silly, fun and you’ll find out if they get it all done! 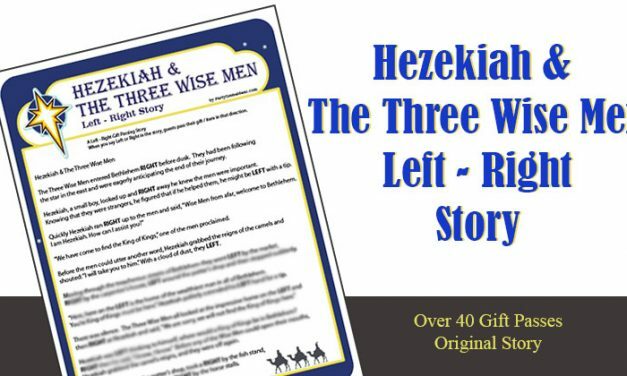 Inspired by the Bible, Hezekiah and the Three Wise Men Left Right game is a fun Left – Right story for Bible study, Sunday School and Church group gift exchanges. 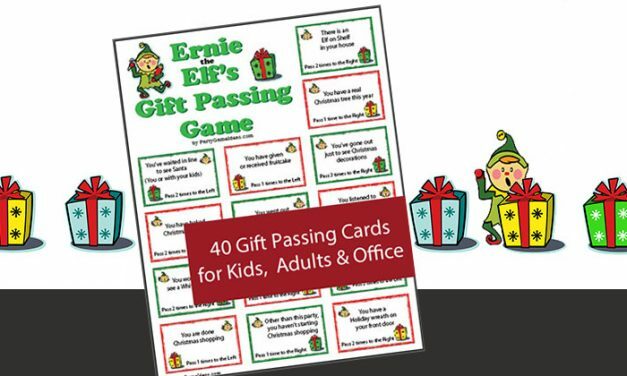 40 Gift Passing cards that will have everyone passing gifts left and right rather than stealing them. 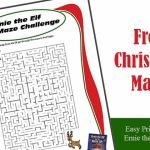 Ernie’s gift exchange is the perfect Christmas party game for holiday parties. 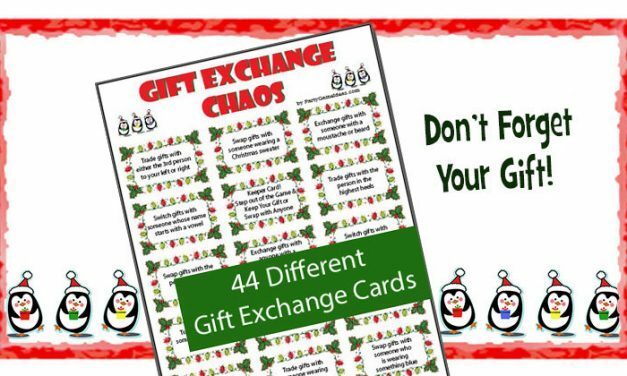 Gift Exchange Chaos – Fun gift exchange game that has you swapping gifts based on 40 different printable Gift Exchange Chaos cards. 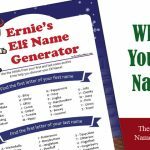 Christmas party game for holiday parties. Host a Cookie Exchange Party and Cookie Swaps are fun holiday parties idea that allow you guests to share lots of Christmas cookies. 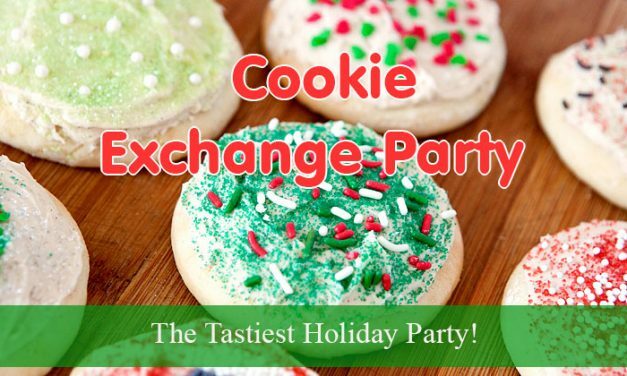 Learn How to Host a Cookie Exchange Party. 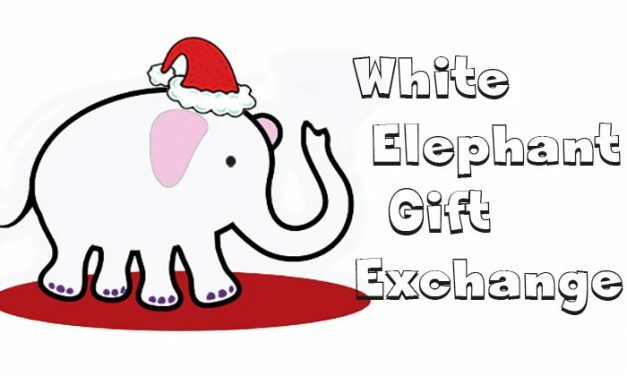 White Elephant Gift Exchange – Rules, How to run, gift themes, and ideas for a successful White Elephant Gift Exchange at your Christmas and Holiday parties. 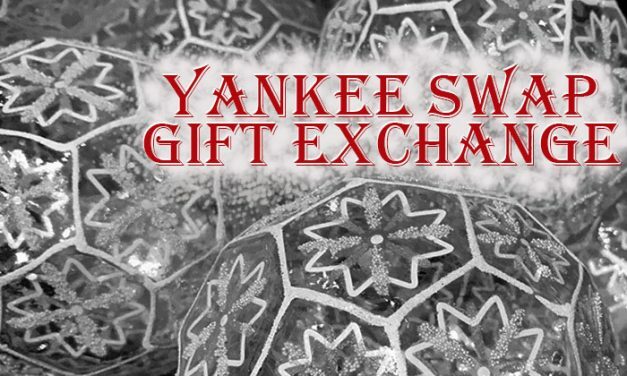 Yankee Swap Gift Exchange is a simple and quick gift exchange when compares to Dirty Santa. Since you swap gifts rather than steal them. Good for kids and all ages. 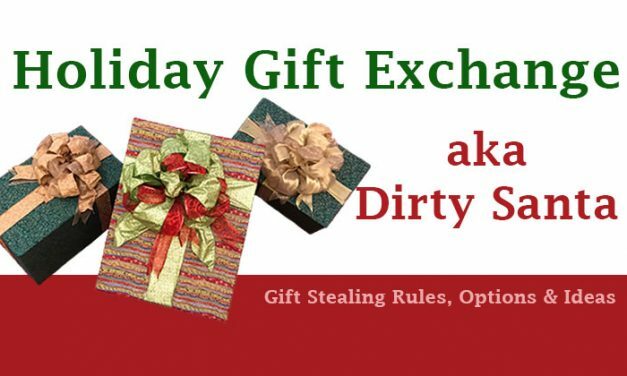 Holiday Gift Exchange – Dirty Santa Gift Grab Game. Rules, options and ideas to change up your gift exchange. Great for Christmas office parties, friends, kids and family events. 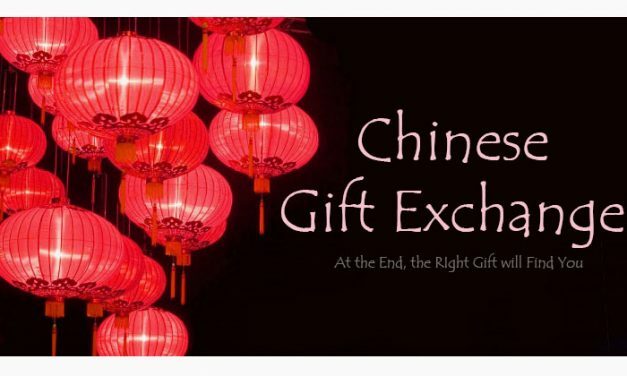 Chinese Gift Exchange is a fun holiday exchange, review rules, ideas and what makes a true Chinese gift exchange different from other gift games. 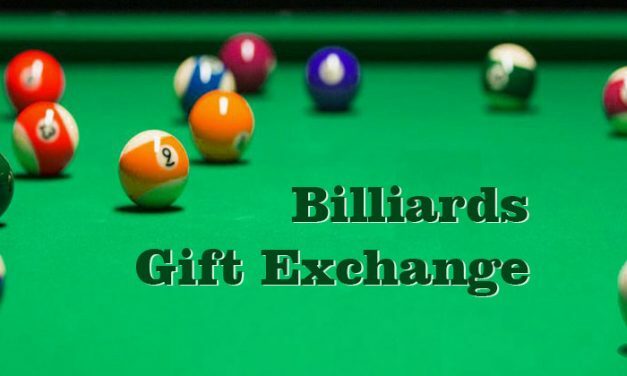 Rack em up – Billiards Gift Exchange! Use your pool table skills to help decide your gift exchange fate. 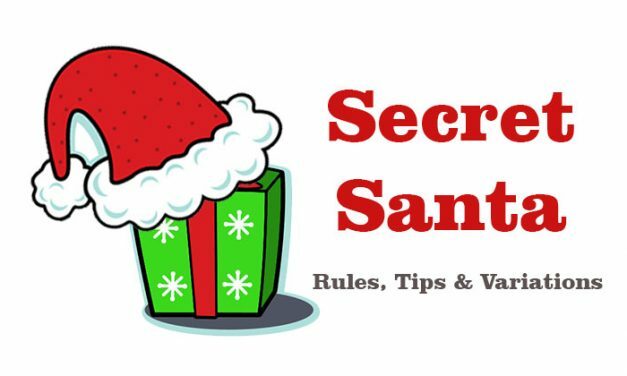 Get Billiard gift exchange rules and tips. Small groups up to 15. 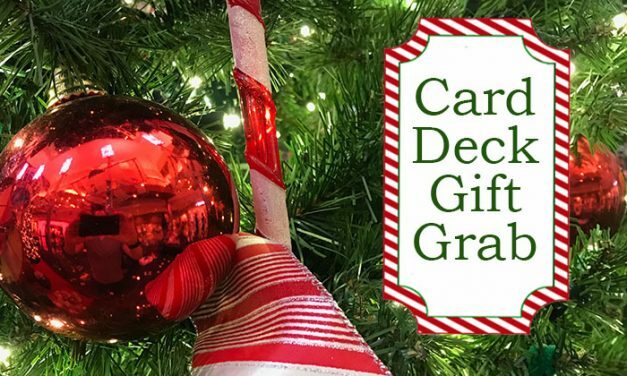 Card Game Holiday Gift Grab involves handing out cards from a deck and using them to decide who and when gifts can be stolen, variations include a keeper card. 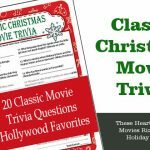 Holiday Gift Exchanges are fun and entertaining and party Game Ideas is happy to offer traditional gift exchanges like Dirty Santa, Secret Santa and more. 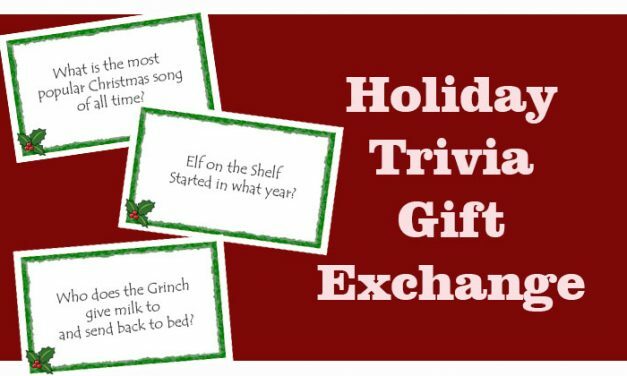 We try to include gift exchange rules, what makes them unique and different, like a Chinese Gift Exchange, and even the history behind specific Holiday exchanges including the White Elephant present exchange. 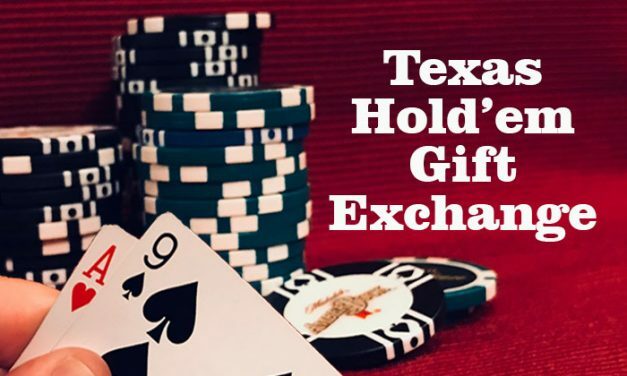 Plus we have come up with some unique gift exchanges or revised others, like Texas Hold'em gift exchange and Billiards exchange, so you can have a unique gift exchange with your friends and co-workers. 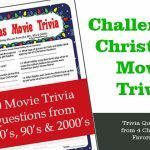 We continue to add new Christmas present and gift exchange posts, so you'll always have a resource for new and creative ideas. Plus we made some printable gift exchanges too, Gift Exchange Chaos, which is a gift stealing game, and Ernie the Elf's Gift Passing game. These ready to go party games are perfect if you are short on time and want something a little different. To all the visit Party Game Ideas, we wish you a Happy Holidays and Merry Christmas. We hope that our games help you make great memories, share laughter and enjoy the Holiday Season.